Time to make Instant Pot Bo Kho that tastes authentic and takes a fraction of the time of the traditional method! One of the highlights from our recent trip to Vietnam was spending time with one of my culinary food idols, Andrea Nguyen. 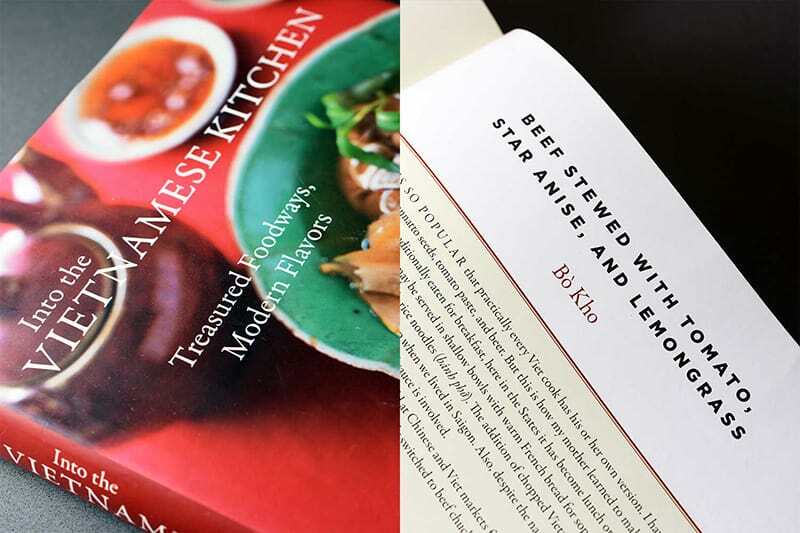 I’ve been cooking out of my treasured, well-worn copy of her cookbook, Into The Vietnamese Kitchen, for years, so when I spotted her in line when we were checking into our flight, I had a tiny panic attack. I was too nervous to approach her at SFO, but we finally chatted when we were retrieving our bags from the overhead bins at the end of our flight. (Unbeknownst to me, she’d been seated right behind us on the plane the whole time.) It took all of two minutes before I started gushing about her books and blog. Luckily for me, Andrea wasn’t put off by my scary fangirl antics, and we instantly connected over food. 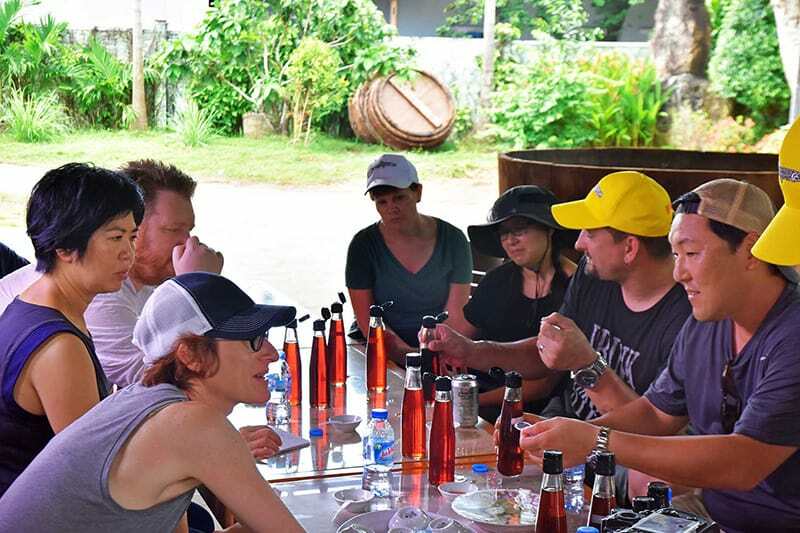 During our week in Vietnam, we hung out with a bunch of cool food folks, but some of my favorite moments were shared with Andrea and her super-talented food stylist and travel companion, Karen Shinto. One example: Despite being stranded for several hours on a non-functioning fishing boat off the coast of Phu Quoc Island, we had a blast laughing, joking, and fishing with hooks attached to empty soda cans. (I promise we’ll recap our Vietnam trip in an upcoming podcast—there’s lots to discuss!) I love that Andrea’s not just THE Vietnamese food maven; she’s also forthright, bawdy, and a supportive cooking sistah. I love when people turn out to be just as cool IRL as they are in your mind. Years ago, one of my first recipes on this blog was a “Paleo-fied” version of Andrea’s Bò Kho from her fabulous first cookbook. 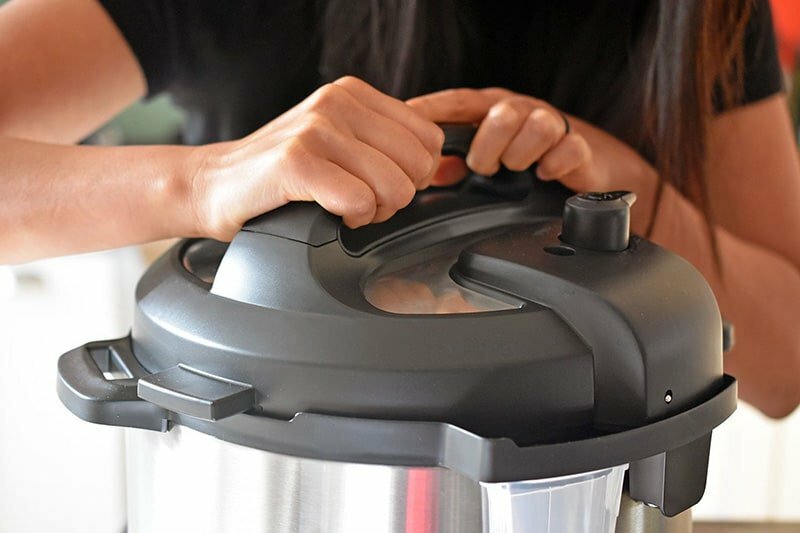 After our trip to Vietnam, I was inspired to cook it again—but this time, using my handy-dandy Instant Pot. I simplified the steps even further ’cause the point of cooking a dish in a pressure cooker is to make a stew in a fraction of the time. But believe me, there’s no flavor that’s been sacrificed in this hearty, umami-packed dish. Prep your ingredients! 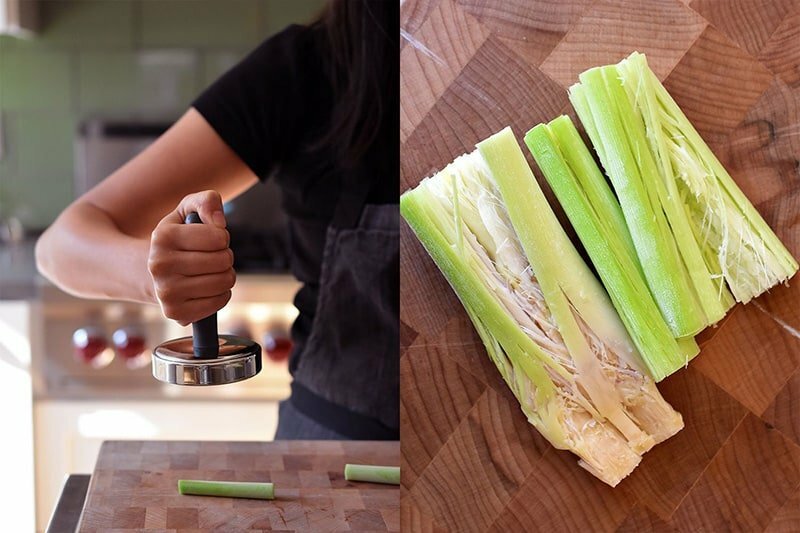 If you’re unfamiliar with lemongrass, check out this tutorial. 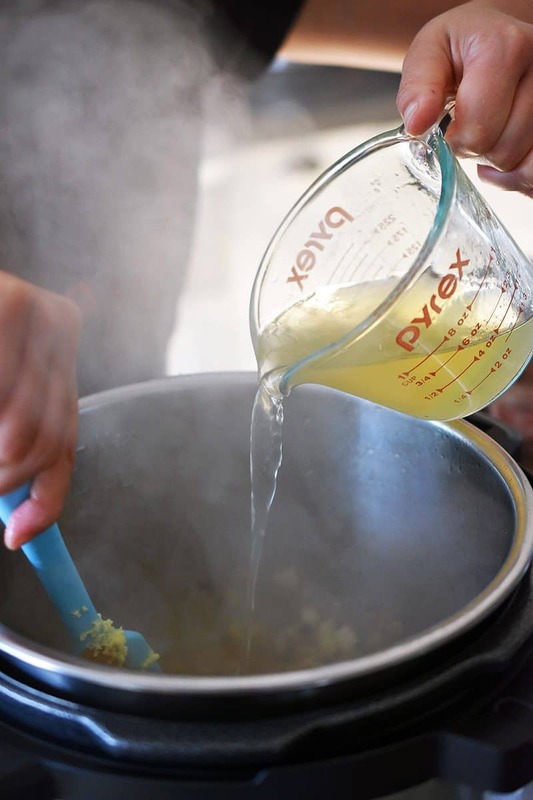 Grab your pressure cooker and melt the ghee over medium high heat. 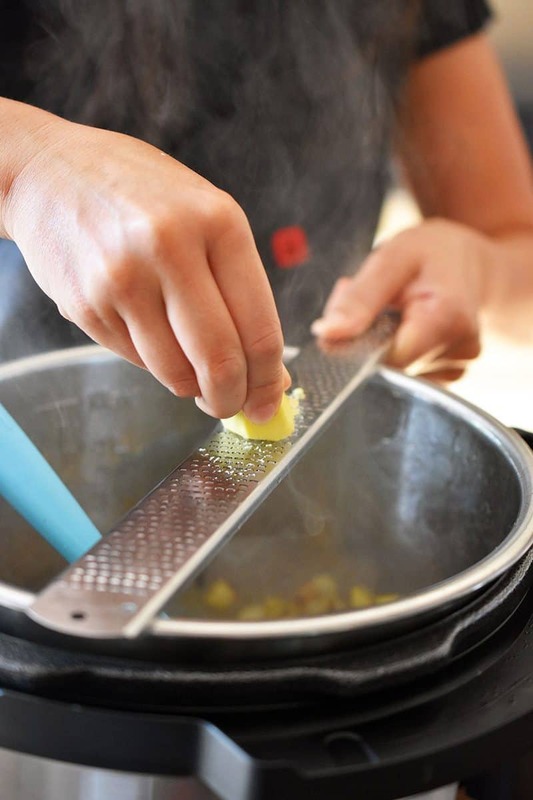 If you have an Instant Pot, use the “Sauté” function to heat the fat. Dry off the ribs and sear them in the pressure cooker. 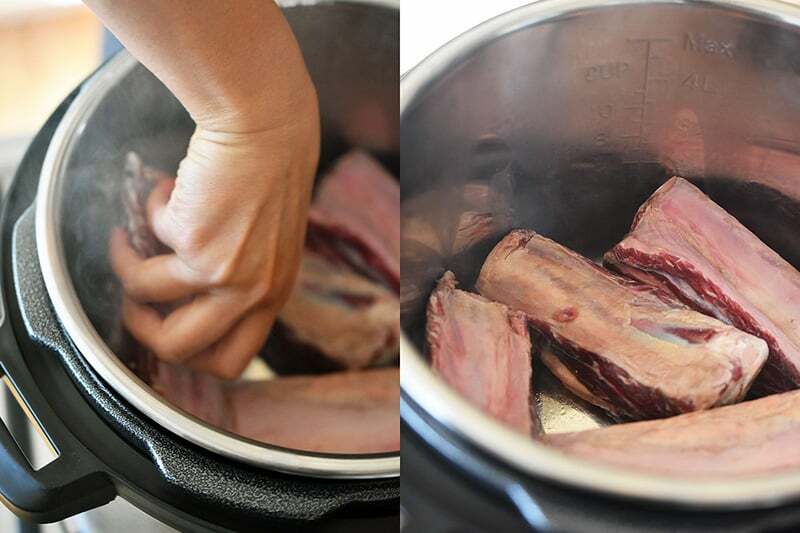 Fry the beef in batches because you don’t want to overcrowd them in the pressure cooker. 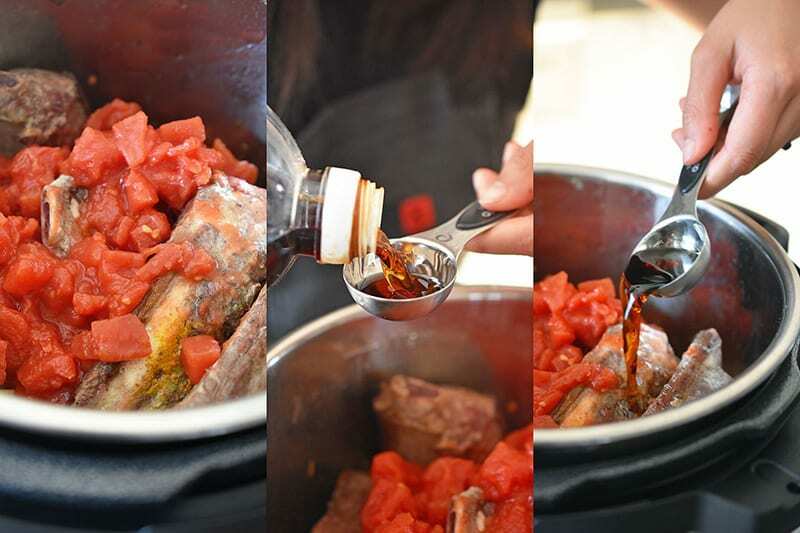 Transfer the seared beef to a separate bowl or plate. Toss in the onions and saute until translucent. …seared beef, diced tomatoes, and fish sauce. 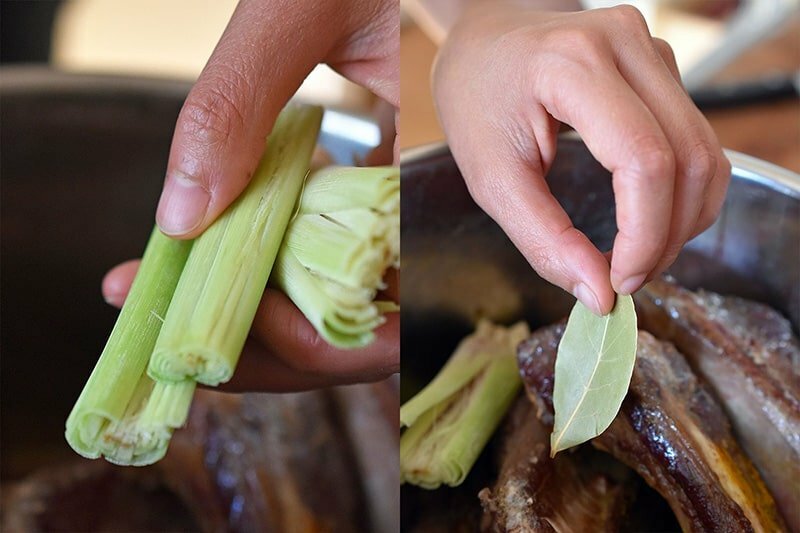 …smashed lemongrass stalks, and bay leaf. If you’re using an Instant Pot, press the clear/off button before pressing the “Manual” or “Pressure Cook” button. 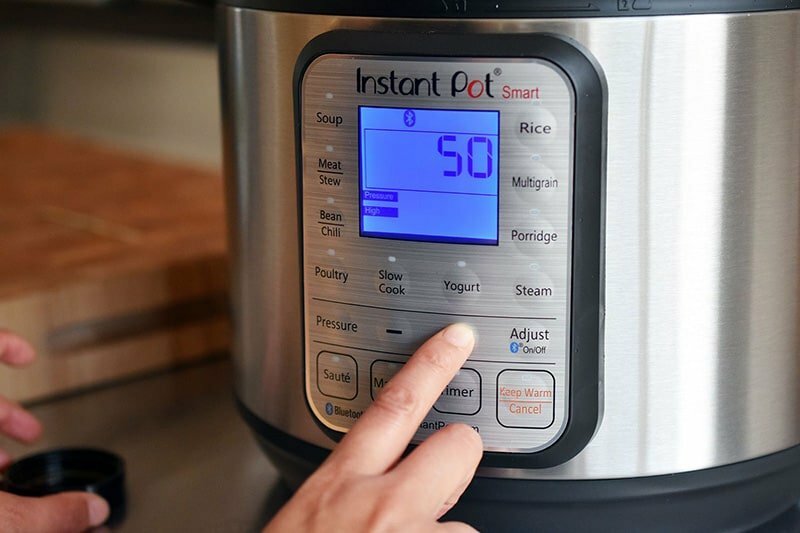 Program the Instant Pot to cook for 50 minutes under high pressure. (If you’re using cubed brisket or chuck roast, set it to cook for 35 minutes under high pressure.) Once the pot is programmed, walk away. Using a stove-top pressure cooker? You won’t have all those buttons to press; instead, just cook covered on high heat until high pressure is reached. 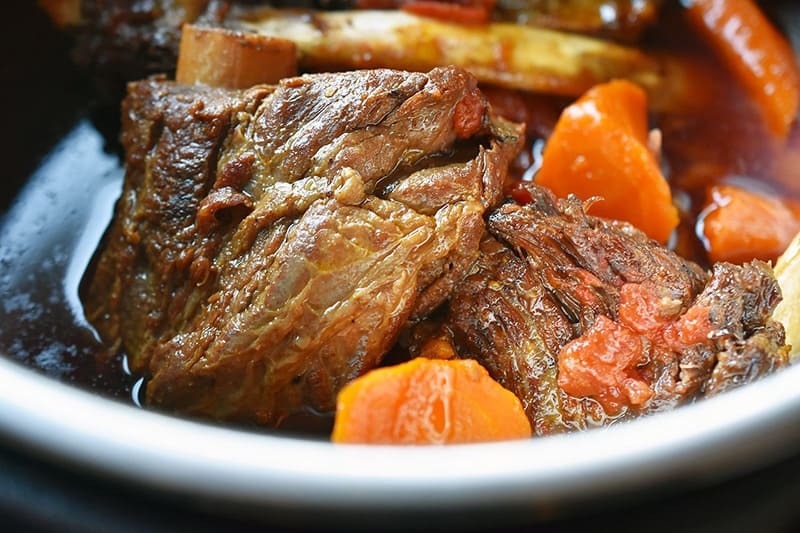 Then, reduce the heat to low to maintain high pressure for about 45 minutes if you’re cooking short ribs, and 30 minutes if you’re cooking cubed brisket or chuck roast. 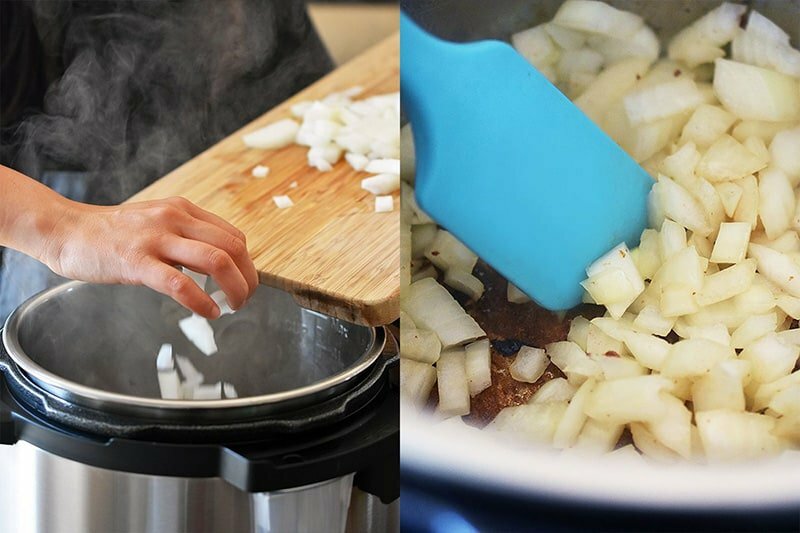 When the stew is finished cooking, turn off the pressure cooker. Turn the valve at the top of the lid to release the pressure immediately. Cook for 7 minutes under high pressure. 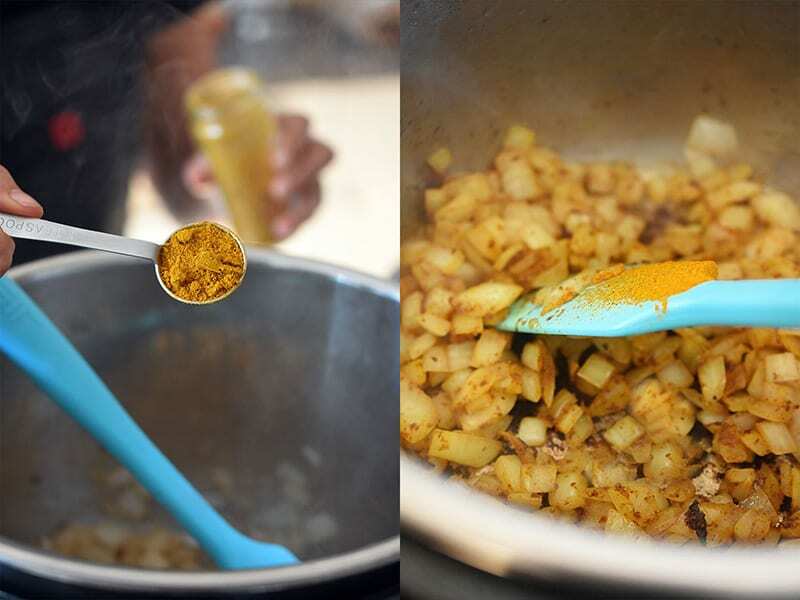 This time, when the stew finishes cooking, turn off the pressure cooker and let the pressure drop naturally. If the pressure hasn’t dropped completely after 15 minutes, turn the valve at the top of the lid to fully release the pressure. Adjust the stew for seasoning with salt and fish sauce if needed. Dig in right away—or store the stew in the fridge or freezer to eat at a later date. The stew will keep in an airtight container for up to 4 days in the fridge and several months in the freezer. Thanks again for the inspiration, Andrea! This Instant Pot Vietnamese Beef Stew (a.k.a. 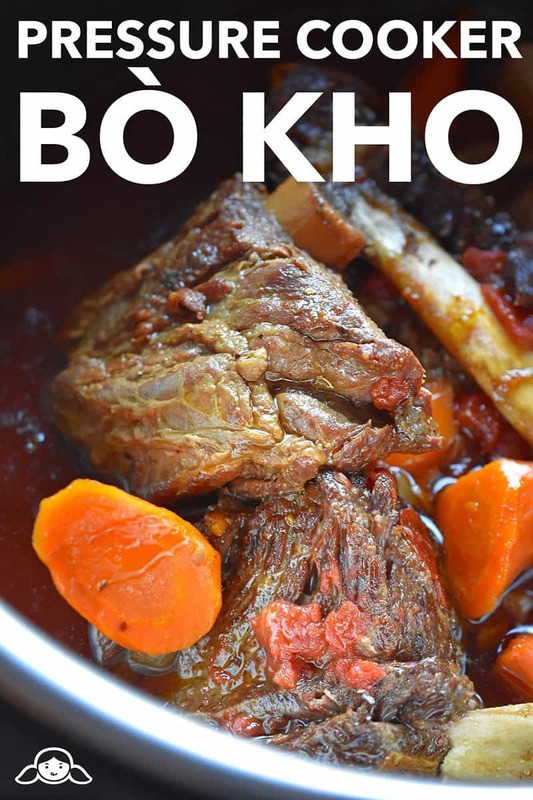 Bo Kho) recipe is flavored with lemongrass and umami. It's Whole30-friendly Paleo Asian comfort food. 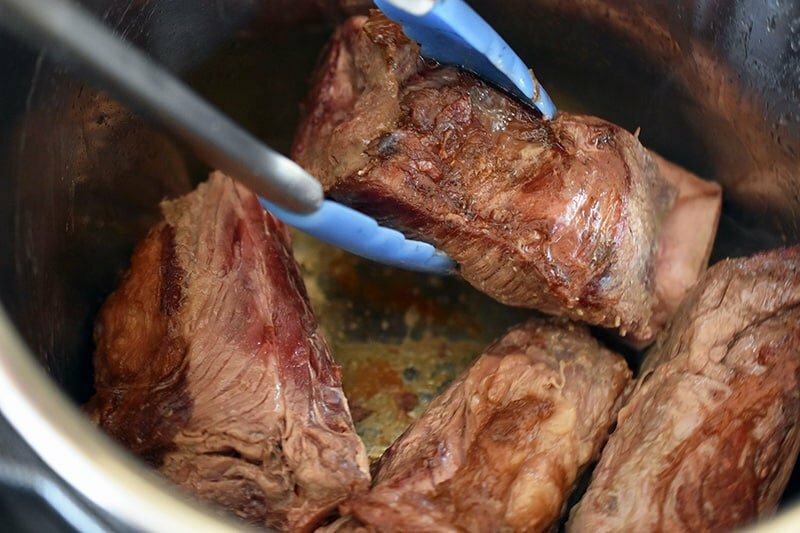 Fry the beef in batches because you don’t want to overcrowd them in the pressure cooker. 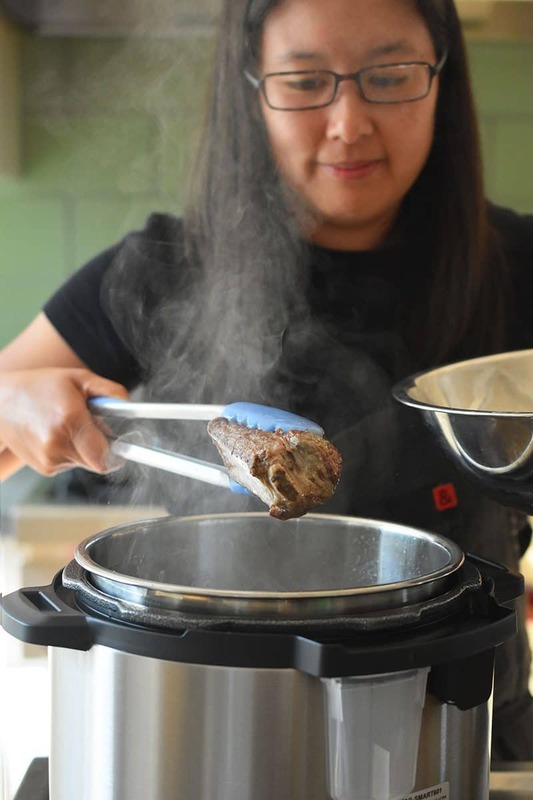 Transfer the seared beef to a separate bowl or plate. 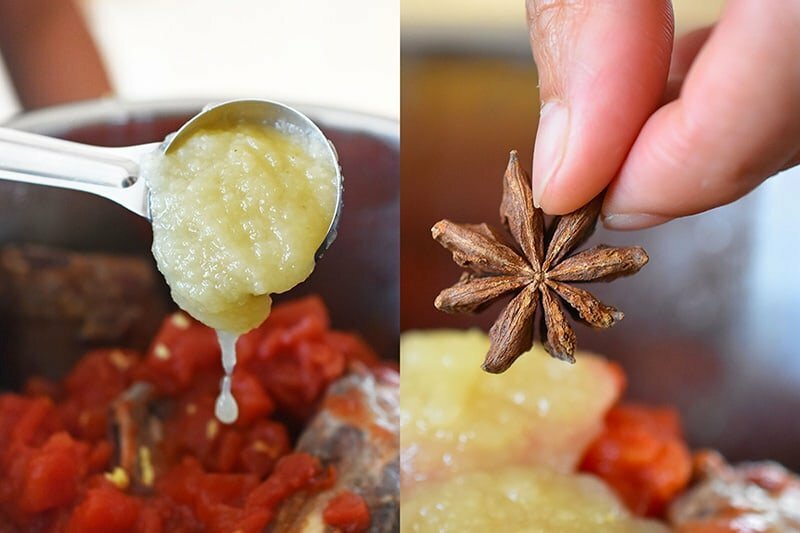 Add the curry powder, ginger, seared beef, diced tomatoes, fish sauce, applesauce, star anise, smashed lemongrass stalks, and bay leaf. Pour in the broth. 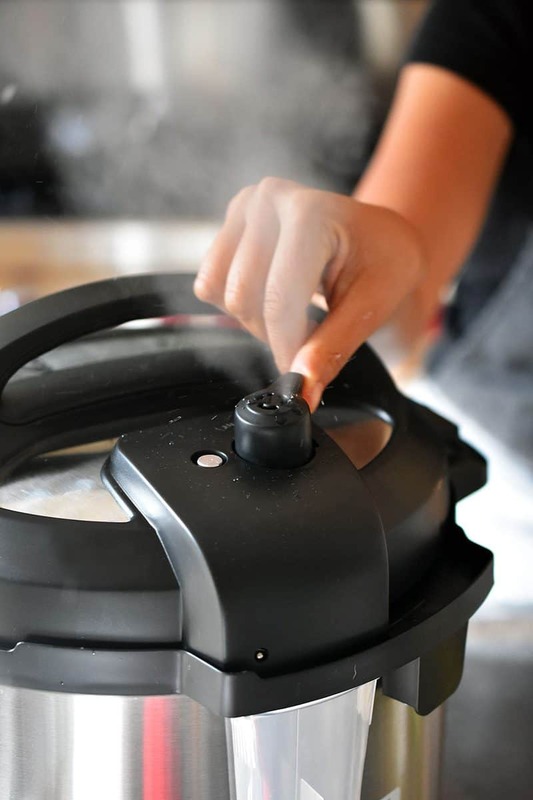 If you’re using an Instant Pot, press the clear/off button before pressing the “Manual” or "Pressure Cook" button. 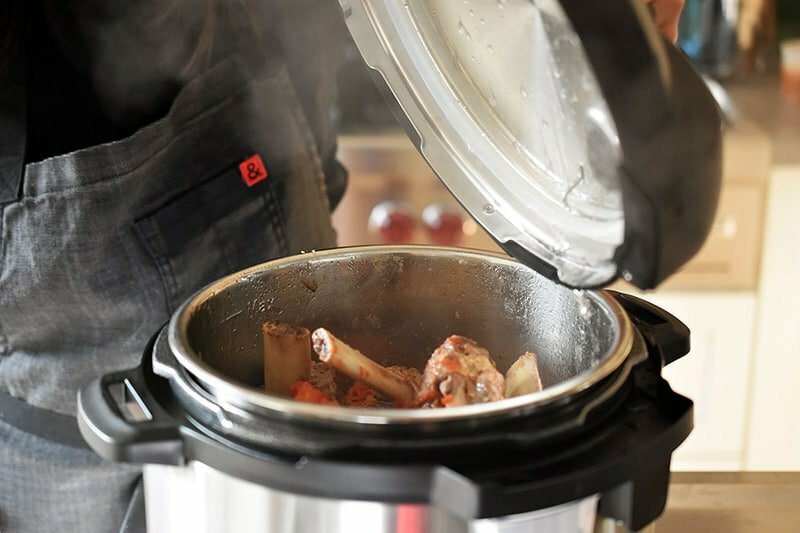 Program the Instant Pot to cook for 50 minutes under high pressure. (If you’re using cubed brisket or chuck roast, set it to cook for 35 minutes under high pressure.) Once the pot is programmed, walk away. Once the pressure’s dropped, pop open the lid and add the carrots. Cook for 7 minutes under high pressure. 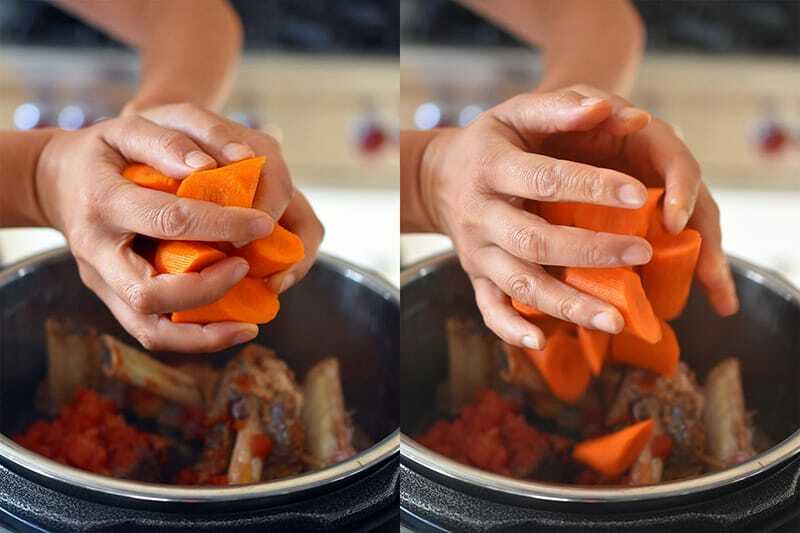 This time, when the stew finishes cooking, turn off the pressure cooker and let the pressure drop naturally. If the pressure hasn’t dropped completely after 15 minutes, turn the valve at the top of the lid to fully release the pressure.